A lot of our customers are beginning to use touch-enabled computers in their classroom. Computers like the Windows Surface can massively increase a teacher’s productivity and we are working to keep providing tools that are relevant to modern teachers. 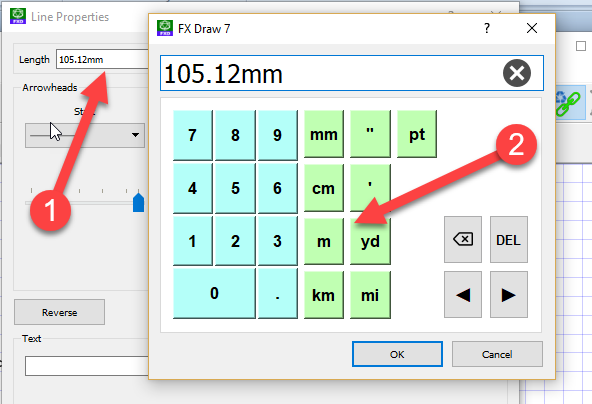 FX Draw V7.003.1 introduces context-sensitive on-screen keyboards to support touch-enabled Windows computers. You turn on touch keyboards with this new toolbar button. When you try to type in any location that requires a keyboard an on-screen keyboard will pop up. In this example we are typing a measurement and get a specialised measurement keyboard. The system includes a full, on-screen equation editor that includes a selection of keyboards that you can use. Touch keyboards will be added to the other products in the next few months.